We provide you with Secure Lockable Bins to collect your Disposed Documents. We provide Prepaid Bins collected fortnightly for document destruction. We Provide you with Certificate of Destruction for all services so that you will have peace of mind. Our friendly customer service representatives are here to assist you with your document destruction needs. We use the top quality industrial shredder to destroy documents and records. Once the destruction happens, it can’t be undone. We stay competitive and provide fair pricing for our top quality service and we accept all major cards for payment. We provide you with prepaid bins for document destruction service so that you can free up your office with document cluster and be more productive. Established in 1990, we have been providing Secure Document Destruction Services to small, medium and large businesses in Brisbane. We are one of the most trusted service providers in Brisbane. It’s what we do to..
Brisbane Document Destruction Service can process all your document destruction needs. We offer the guarantee that your document will be disposed of and destroyed securely and immediately. We are proud to say that all throughout the years, we have lived up to the clients’ expectations. We service all of the Brisbane Metro area and the Gold Coast and pride ourselves on prompt reliable service and guarantee security by providing a Certificate of Destruction for all document destruction. We provide you with a prompt and timely service to suit your business needs. Our client base ranges from small businesses to corporate offices. Providing Best document destruction service to Brisbane and Gold Coast area is our main goal. Attaining 100% customer satisfaction is what we work for. Talk to our Friendly Customer Service Representative. It is very easy to Book a service with us. Let us know if you have Documents to be sent for destruction. Brisbane Document Destruction Service is the leading provider of document disposal and paper shredding services to businesses all over Brisbane including Ascot, Boondall, Brisbane City, Brookfield, Carindale, Carseldine, Chapel Hill, Doolandella, East Brisbane, Everton Hills, Fairfield, Ferny Hills, Holland Park, Kenmore Hills, Lota, Mitchelton, Moorooka, Petrie Terrace, Salisbury, Sandstone Point, Wynnum West, Yeronga and Zillmere. Here at Brisbane Shredding, we offer the best paper shredding service in Brisbane. We offer document shredding and document destruction to a wide and varied selection of clients across Brisbane. All that is required is that you have a minimum of 2 bins for $65 Inc GST for each for two weeks. 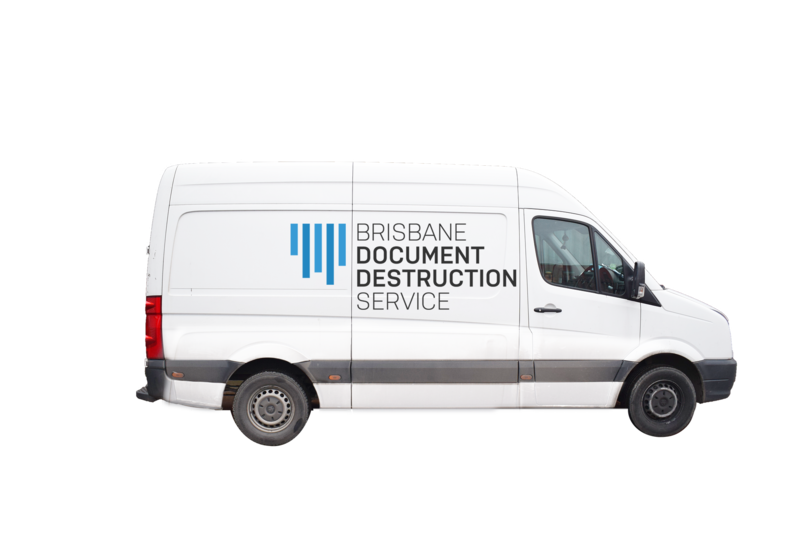 This represents excellent value for money and you will be safe in the knowledge that you will receive secure document destruction in Brisbane. Whilst we are aware that many of our competitors also offer paper shredding services in Brisbane, we are confident that our secure document disposal in Brisbane is of the highest standard and that our security bins offer you the ultimate in protection. We firmly believe that you cannot afford to take any chances when it comes to the disposal of confidential waste. Personal data theft is an increasing problem and this is something that we are always looking to tackle. Of course, when it comes to document destruction it is something that you can do yourself but do you have the means of document disposal after they have been shredded in Brisbane? This is where the problems tend to come as criminals are becoming more astute when it comes to retrieving your data. You can only be confident that this isn’t a problem when you use the services of a professional company who will ensure that everything is destroyed, even after the paper shredding in Brisbane is complete. We offer personal document shredding in Brisbane and you will find appointments are made extremely easily. Our friendly customer service representatives are always on hand to assist you with all your document needs. Remember, all you need is a minimum of 2 bins for $65 Inc GST for each for two weeks. Shredding equipment has improved tremendously in the last few years and for all our shredding services in Brisbane, we only use the best equipment. For our secure shredding in Brisbane, we always use a top quality industrial shredder to destroy your documents and records. This means that once that the document destruction has taken place it can’t be undone, even by the most sophisticated of criminals. We firmly believe that you will find our prices extremely competitive compared with any other paper shredding companies in Brisbane. We can’t emphasise enough the lengths that we go to ensure that all secure documents are disposed of in a professional and secure manner and we are confident that this makes us stand head and shoulder above anyone else who offer paper shredding services in Brisbane. We service all of the Brisbane Metro area and the Gold Coast and pride ourselves on prompt reliable service and guarantee security by providing a Certificate of Destruction for all document destruction. We perform confidential document disposal and secure document shredding for ALL types of documents, records destruction, bin supply and pickup service. If you would like more information about our document shredding service in Brisbane, secure document disposal in Brisbane or indeed any of our other services, we would like to invite you to call us on 07 3167 6190, email on sales@brisbaneshredding.com.au or alternatively, contact us via our website.